Getting code to do what you want it to do in the world of web design can be challenging. Web designers have to problem-solve on a regular basis as a part of your job. If you like puzzles and figuring out solutions to complex problems, the field of web design might be right for you. If you instantly notice paintings that are hung in a crooked manner and things like unattractive fonts bother you, you might be a natural at web design. Good web design requires a lot of attention to detail. The best web designers are often those who love details. They love experimenting with colors, images, and fonts until everything looks organized and visually appealing. The techniques web designers use are always shifting and changing, and new advances in software and code allow designers to consistently experiment with what they're doing and discover new ways to do it better. If you like learning new things and expanding your mind on a regular basis, you'll like being a web designer. Web designers are constantly pushed to learn about new techniques and technological advances to keep up with the latest trends and keep their work fresh. Almost all of the exciting, innovative things that are happening these days are happening on the web. Mobile technology is taking web users to destinations they've never been before, and designers are needed to help create those destinations. Being a web designer means you're a part of an ever-changing, rapidly-growing, invigorating, and unbelievably creative field. 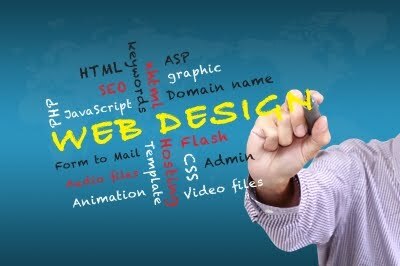 Web designers are always needed and will be needed for some time to come. Full-time job opportunities may not always be available for entry-level candidates, but freelance opportunities are almost always available. And once you have some experience under your belt, getting the full-time gig you want shouldn't be much of a challenge. For the foreseeable future, there will be jobs for web designers, and that's a huge perk in a tough job market. Consider the signs above on your quest to find the perfect career, and congratulations to you if you settle on a career in web design! Rachel Sanders is a freelance writer and designer who creates content for webdesignschoolsguide.com as well as other education, design, and business websites. When Rachel isn't writing informative articles and designing websites, she likes to read, research education trends, and discuss typography. Please leave comments and questions for Rachel below. She appreciates your feedback!